As the fist generation of Icare family by leaf, iCare Starter Kit is a compact e-cigarette vape kit with an internal tank and 650mah internal battery. As the first generation of Icare family by leaf, iCare Starter Kit is a compact e-cigarette vape kit with an internal tank and 650mah internal battery. 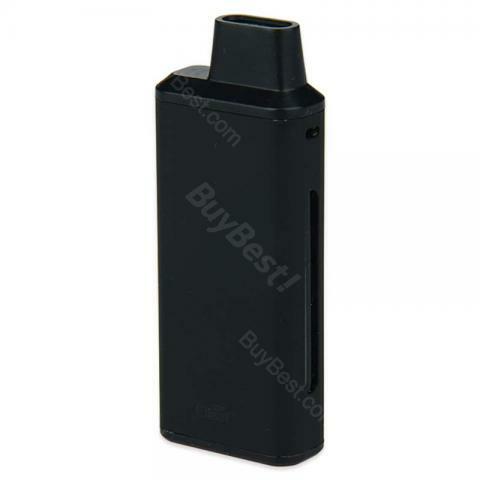 You will love the useful automatic On/Off feature that initiates when vaping. It’s also featured with a highly effective size with a resistance rating of 1.1 ohm and maximum output of 15W, which give us you a new vape experience. With three color LEDs, you can simply get to know the battery capacity left. With transparent window, you can know the e-liquid Level at a simple glance. 5 optional colors. Note: Please don't fill beyond the Max line to avoid overflow. Eleaf iCare Starter Kit with fast shipping.the Eleaf iCare with a internal tank and internal battery. like the gold Eleaf iCare Starter Kit very much,with best package and fast delivery. Eleaf iCare is a compact e-cigarette vape kit . Love it very much! really like the icare it's really good and love how small it is!! Item received in a few days! Idk what other people are thinking, but icare starter kit suits me well. original iCare Starter Kit, good price, fast shipping.